Presentation is very important when making mixed drinks, so using the proper glass is a must. It enhances the drink. 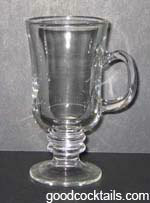 There are many different kinds, sizes and shapes of glassware. If you have these glasses, you have a glass for every mixed drink and occasion. This is the typical beer container. It has thick walls and a large handle. 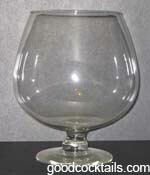 This glass is used for brandy or cognac. They have a short stem so you can place your middle and ring finger. This allows your hand to warm the brandy or cognac while holding it. These are tall glasses. 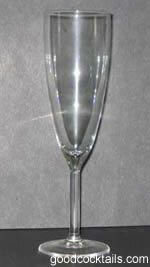 The flute shape helps preserve the carbonation of the champagne and it also shows off the bubbles of the champagne. Chill the glass before use. This is a tall and skinny glass. This glass was named after the popular drink Tom Collins. 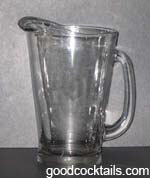 It is used for soft drinks, juices and many mixed drinks. 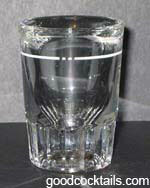 It is a very small stemmed glass used to serve small amounts of liquor. 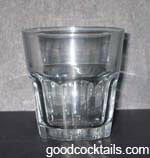 This is the most common glass at bars. It is used to make many mixed drinks. This glass is shaped like a hurricane lamp. It is used for many tropical and exotic mixed drinks. It is also used for some blended drinks like a Piña Colada and a Chi-Chi. This glass has a shot stem and a handle. It is used for many hot drinks. This glass is primarily used for Margaritas and Daiquiris. 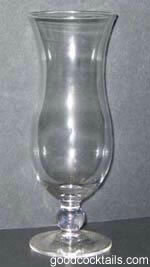 This glass is also known as a "Coupette Glass." 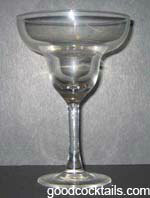 This is the classic V-shaped stemmed glass for drinks without ice (chilled drinks). 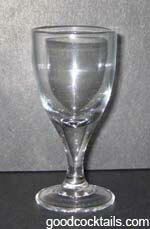 This glass is also known as a "Cocktail Glass." Chill the glass before use. 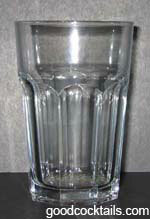 This glass is used for drinks "on the rocks" or with a "splash." This glass is also known as a "Rocks Glass." 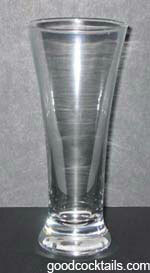 This is a tall flute shaped glass with no stem. 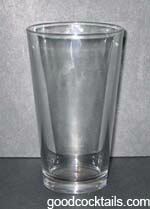 This glass is also used for beer. 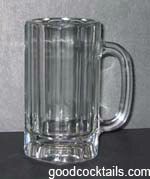 This is a large container with a spout to pour into several glasses. Many bars used them to serve beer. This is a large container for punches. It is used a lot for parties. This is a small and thick glass. It is used for many shots and as a measuring tool. 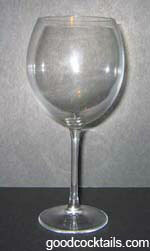 There are two kinds of wine glasses (Red Wine Glass and White Wine Glass). The red wine glass has a wider bowl to allow the wine to breathe. When carrying a wine glass, always hold it by the stem so you don't change the temperature of the wine. It is very important that you know how to handle glassware. If you don't handle the glassware correctly, you can cut yourself or somebody else (Trust me, I learned the hard way). Always use an ice scoop to fill the glasses with ice. Never use the glass to scoop ice. It can break in your ice. If you break glass in your ice, throw away all the ice and make sure that there are no pieces of broken glass. If a glass is hot, do not put ice in it. The glass can break with the change of temperature. If the glass is cold, do not pour anything hot in it. Do not stack the glasses too high. Do not stack two different glasses together. They can get stuck together and if you try to separate them, they might break. Don't carry more glasses than what you can handle on your hands. Use a tray to carry them. Always handle the glass by the stem or base.